The investigation and management of ear disease occupies a significant portion of a veterinary clinician’s time. Otitis externa, in particular, is likely to be seen by a busy small animal clinician at least once a day. 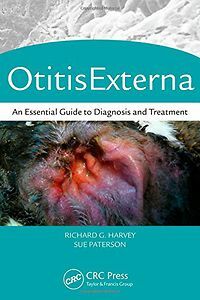 Otitis Externa: An Essential Guide to Diagnosis and Treatment provides a comprehensive source of information on the relevant structure, function, medical treatment, and surgery of the ear, from Otodectes cynotis to Pseudomonas aeruginosa. The book details the salient points of diagnosis and treatment and includes more than 200 colour illustrations. Chronic, and chronic recurrent, otitis externa is frustrating and costly to the owner and often painful for the animal. Concise and user-friendly, this text helps clinicians identify signs of this condition, make an appropriate diagnosis, and plan the best treatment options.